Leading Manufacturer of fertilizer pan mixer and pickle mixers from Bengaluru. We put forward a broad range of Pan Mixer that is manufactured in adherence with the set industry standards using advanced technology and optimum quality raw material. As the name intends, offered mixer is used in diverse food processing industries for mixing applications. In tune with industry quality standard, used in fertilizers mixing of urea,suphala,phosphate etc., we provide this mixer in various sizes and specifications, as per the requirement of our clients. Our quality controllers perform a series of test on various parameters, in order to ensure the quality of this mixer. With the help of our skilled professionals, we are capable in offering a wide array of Fertilizer Pan Mixer. The offered mixer is meticulously tested on various quality parameters and is widely demanded in various industries. Provided mixer is manufactured by utilizing optimum quality raw material and latest technology by our experts. In line with industry standard, we provide the entire range of mixer in various customized options and at affordable price. Mainly used for uniform mixing of urea,suphal,phospahte,nitrite in granular and powder form. capacity available from one to ten ton capacity.Available in MS,SS304,SS316L grade steel. 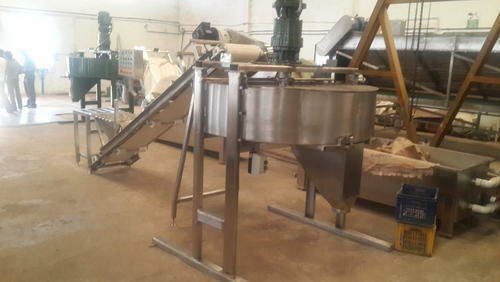 We are a notable manufacturer and exporter in the domain and actively affianced in offering Pickle Mixers. The offered product is widely used for mixing pickle in food processing industries. 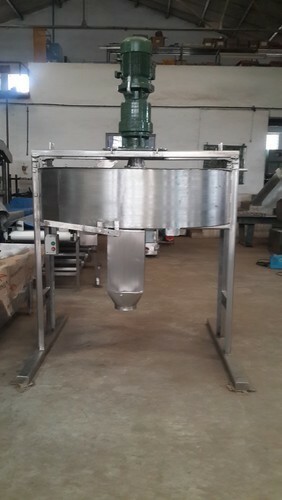 The offered Pickle Mixers are designed and manufactured for mango, lemons, etc utilizing excellent quality stainless steel and innovative technology in adherence with international norms. Components that are used for the manufacturing process of the offered range are stringently examined on pre defined industry norms to ascertain their quality and strength.